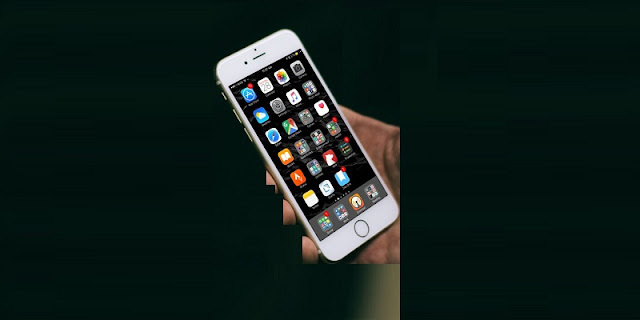 If you are a news user or you just switched from Android to iOS and got an iPhone or iPad searching to download and try all the best apps but you don't know much about. This article will guide you the essential apps you should download and use on your iPhone and iPad. 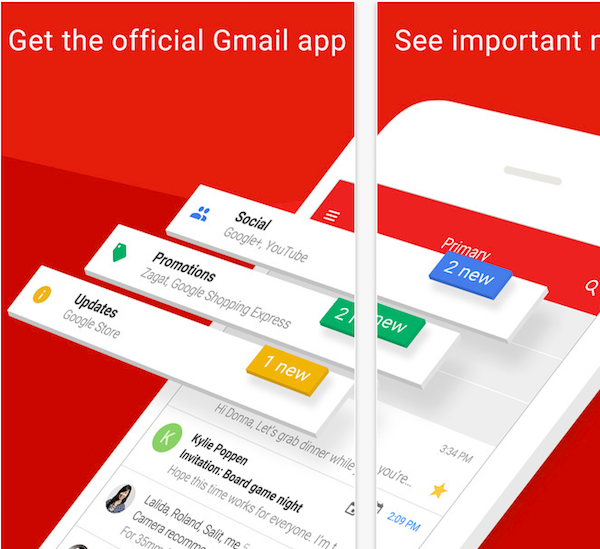 Gmail: If you want something from the Android world that you’re familiar with, download Gmail. It’s basically the same app with similar UI. Outlook: Gmail is a bit basic. Outlook integrates email and calendar in one app. Plus, their Focused Inbox is really good at showing just the important emails. 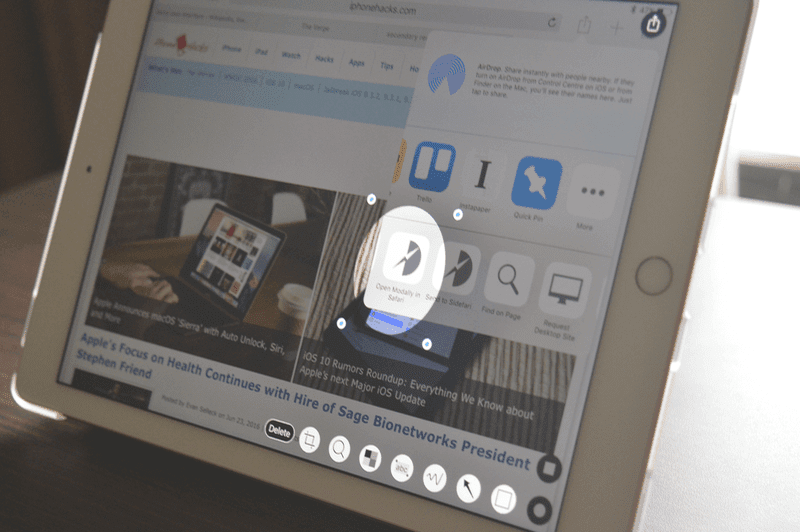 Spark: If you want a free, easy to use, yet feature rich email client that’s available on iPhone, iPad and Mac, Spark is it. Google Maps: In the west, Apple Maps is quite good. But in Asian countries, that’s still not the case. 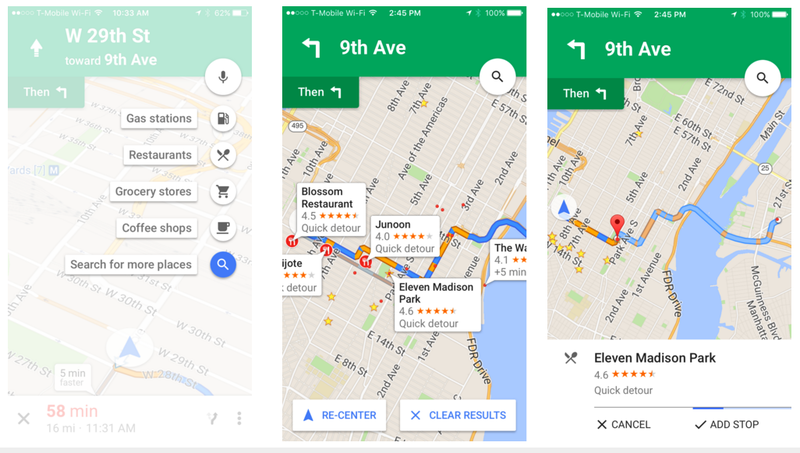 So one of the first things you’ll want to do after getting a new iPhone is to download the Google Maps app. 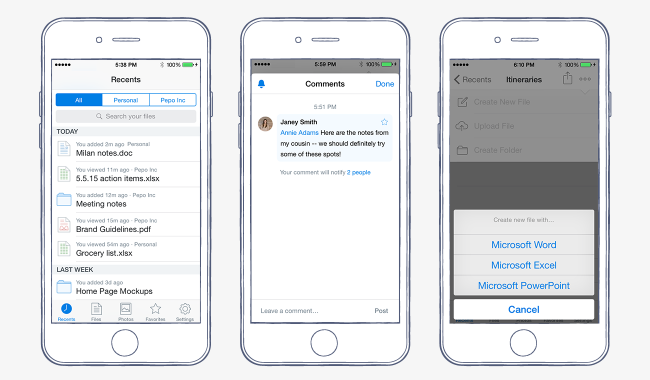 Dropbox: There’s no exposed file system or a file management app in iOS. If you’re just starting out, I’d suggest making Dropbox your file management system. Put all your important documents and pictures in Dropbox. So now it’s automatically available on all your connected devices. Alternative services like OneDrive, Box are available in the App Store as well. Facebook, Instagram and Snapchat from the App Store. 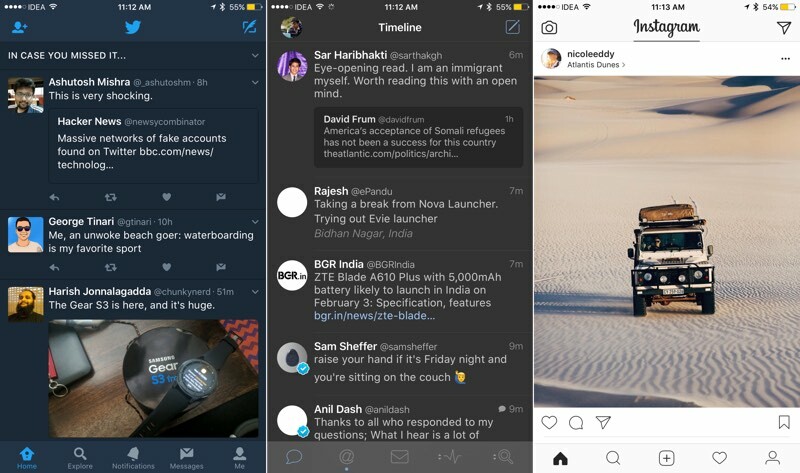 If you’re into it, get the Twitter app as well. 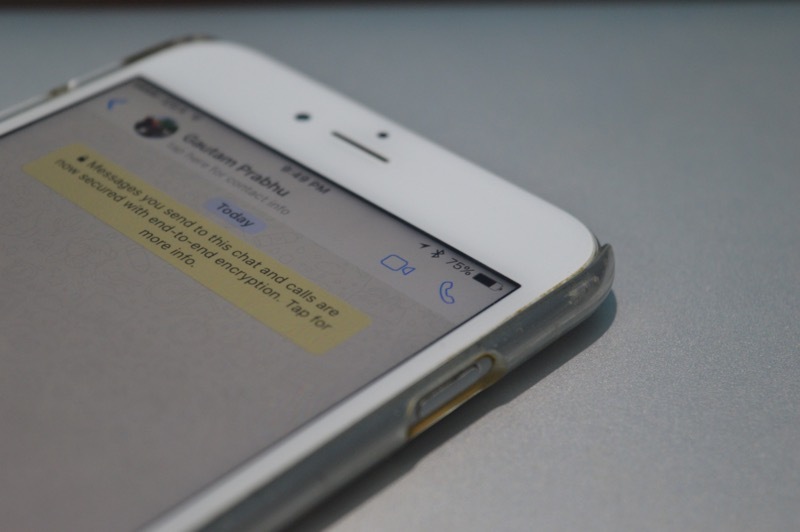 WhatsApp, Facebook Messenger, WeChat, Line, Telegram should take care of your personal communications. Slack and Skype will help you get your work done. VLC Media Player: Don’t use the default Videos app. It’s shockingly underpowered and syncing videos from iTunes is close to a nightmare. The VLC Media Player is free and plays virtually every format under the sun. Plus, you can easily transfer media to VLC wirelessly from any device. When it comes to streaming, there’s no shortage of awesome media apps. The obvious apps like YouTube, Netflix and Hulu are all there. Plus you’ll find video apps for all major networks like ABC and Comedy Central. I would suggest you use the built-in Music app for all your music needs. When the UI isn’t the best, it’s easy to get used to and it integrates with OS features like Siri and Spotlight search really well. Spotify: The best alternative to Apple Music is currently Spotify. The built in Podcasts app is good enough for a beginner but if you want to listen to a lot of them, I’d advise you to get a podcast client. Overcast: Overcast is the simplest third party client around. The playlist feature is quite powerful and it has features to boost the volume and cut silence automatically. Overcast is free to use, with ads. 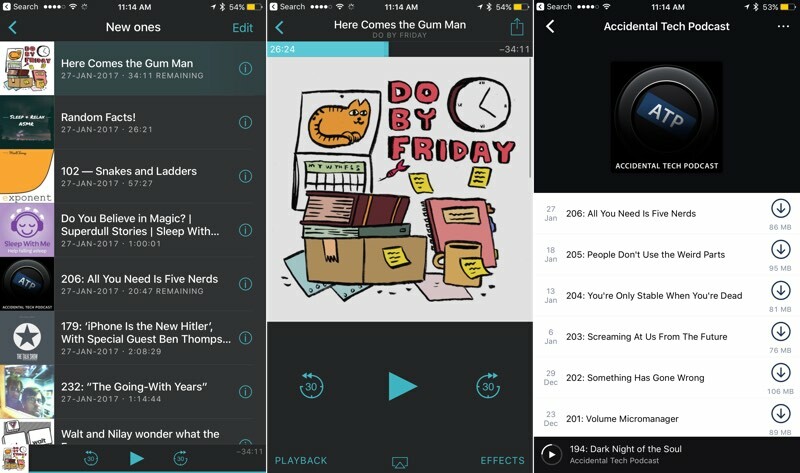 Pocket Casts ($3.99): Pocket Casts is the alternative to Overcast and is just as good. The UI is not as simple as Overcast and it costs $4.99 to get in. Reeder 3 ($4.99): If you’re into RSS, this is hands down the best RSS reader on iOS. It’s fast, minimal and a joy to use. Quartz: Quartz is a great way to quickly catch up on the news at the end of the day. The app uses an innovative and actually useful conversational style approach. Flipboard: The magazine style app is still one of the best ways to discover and read interesting stories. Nuzzel: Nuzzel is a really good way to bring up the articles that your friends on Twitter and Facebook or sharing. The app will only show links shared by multiple people, so you only get to see the best content that people in your circle are reading. Kindle: If iBooks store isn’t supported in your country, the next best option is to buy book using Kindle app. MyFitnessPal: If you want to track what you eats and your weight, MyFitnessPal is currently the best way to do it. Pedometer++: This is a really simple app that shows how much you walked today. The widget is really handy. Strava: If you’re into cycling, Strava is the best way to track your rides. The community is also helpful. Gyroscope: Gyroscope is a dashboard for your life. 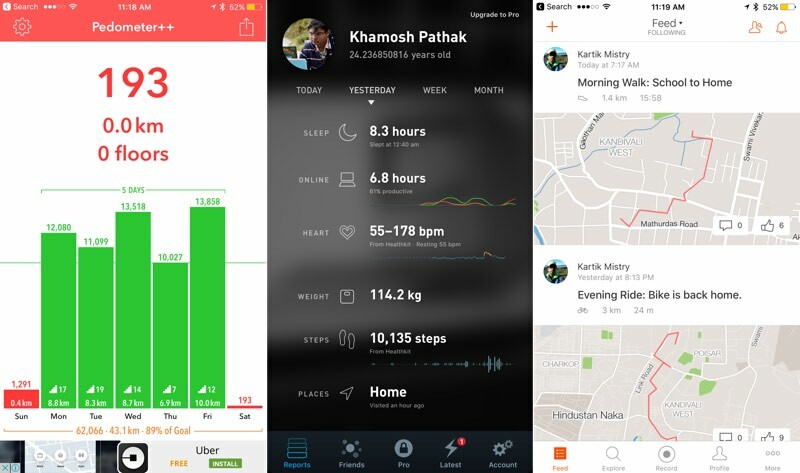 It integrates with the Health app and a myriad of other trackers to give you an overall view of how you’re doing – health and productivity wise. Sleepcycle: If you want to improve your sleep and want to wake up at the best time possible (and not when you’re groggy), install Sleepcycle and put your phone on your bed next to you when you sleep. Uber: You can’t seem to get around town these days without calling an Uber. Yelp: The Yelp app will help you decide where to eat next. Manual ($3.99): Your iPhone has a really awesome camera and after iOS 10, you can capture and edit in RAW format. The Manual app gives you manual control over things like ISO and shutter speed. VSCO: VSCO is an alternative to the Camera app. You can capture photos and edit them right inside the app. VSCO’s UI is a bit confusing off late but the pictures can come out of the app are still stellar. Prisma: The must have for adding awesome artistic filters on Photos. MSQRD: The app has a big collection of hilarious face filters. Enlight: Enlight is a pro level photo editing app that also has some really interesting filters. 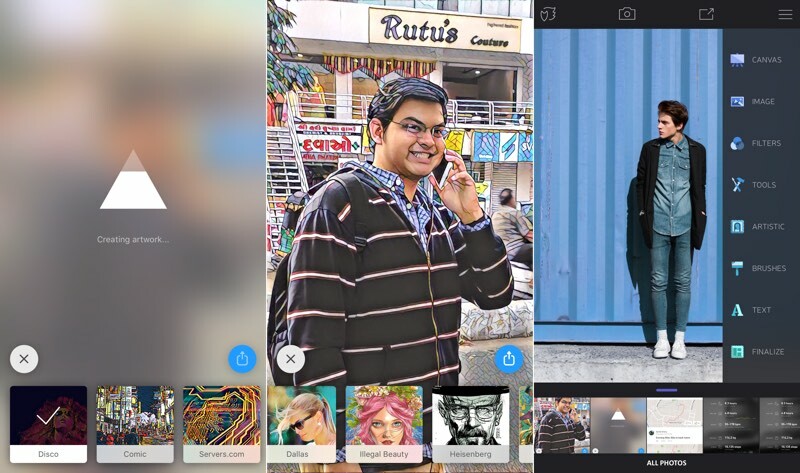 Pixelmator ($4.99): If you want an easy to use professional tool for editing photos on your iPhone, Pixelmator is it. Lightroom: Lightroom’s iPhone app is limited compared to the Mac version but you can still do pro level editing using the app. The features have been adopted for a touchscreen and they’re easy to use. Plus, the app works well if you already have the Mac version. Todoist: If you don’t want to use the built-in Reminders app, Todoist is your best option. The free version offers the basic features you need and the app is available basically everywhere. Trello: Trello is a simple project management system you can use to organize anything. 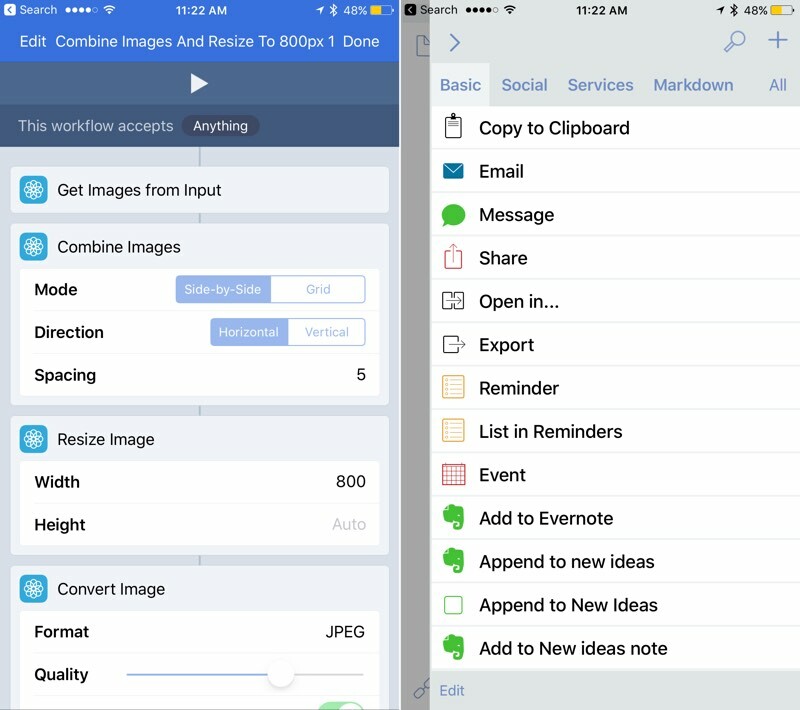 Workflow ($3.99): While iOS is a closed system, there’s still quite a bit you can automate. And Workflow is basically the only awesome app to do so. Drafts ($4.99): If your work revolves around text and text files, you’ll like Drafts. Drafts takes you straight to the writing environment. Once you’ve written something done, you can figure out what to do with it. And Drafts integrates with a lot of awesome apps and services so sending the text over to an email app or notes app is never a big issue. IFTTT: IFTTT is the best web automation tool around. You’ll get recipes to automate all sorts of stuff. Launcher: Launcher puts shortcuts for calling, messaging and app actions right inside the Today View using the widget. This means you can get a shortcut to message someone right on the Lock screen (after swiping right). Pcalc Lite: Pcalc Lite puts a basic calculator right in the Today View. Widget Calendar ($0.99): Widget Calendar puts a calendar and reminders widget in the Today View. Scanbot: One of the best apps for quickly scanning photos and sending them to different places. The latest update even has workflows that you can set up to automate the filing process. 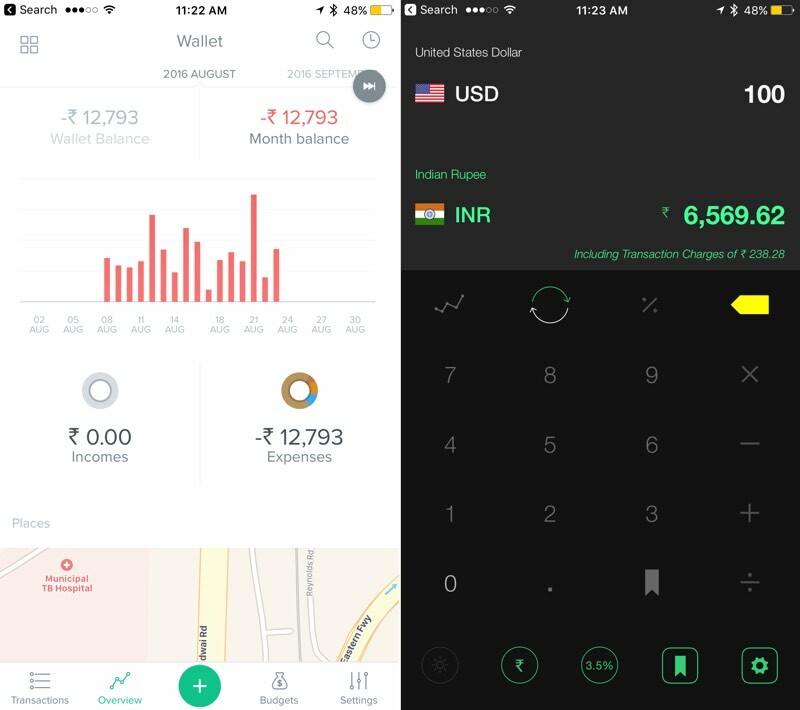 Spendee: A really easy to use and feature rich manual expense tracker. Annotable: Our top pick for image annotation on iOS. Stacks: A really simple and beautiful currency converter. 1Password: A powerful password manager (and alternative to LastPass). Motion Stills: Turn those shaky Live Photos into smooth GIFs. Day One ($4.99): A beautiful way to write your journal on the iPhone. The app lets you import photos and there’s pro level text formatting support. 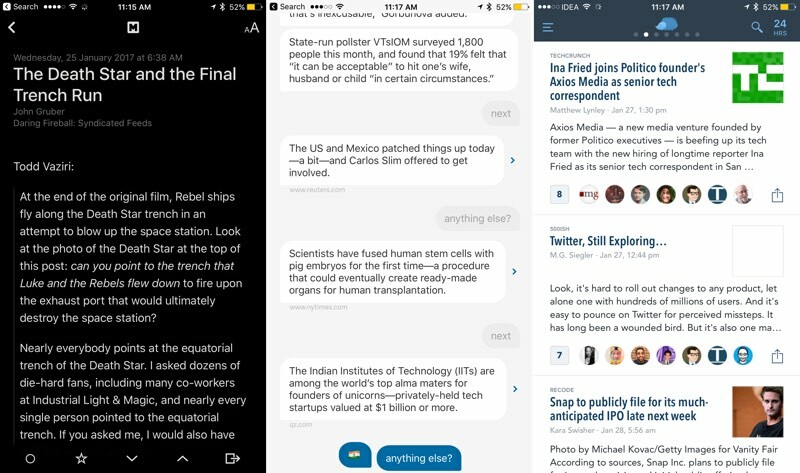 Editorial ($4.99): If you wish to write in Markdown on your iOS device, Editorial is the best way to go about.